James Bolton who was one of the nine victims of Angeles City serial killer Mark Dizon in 2010. 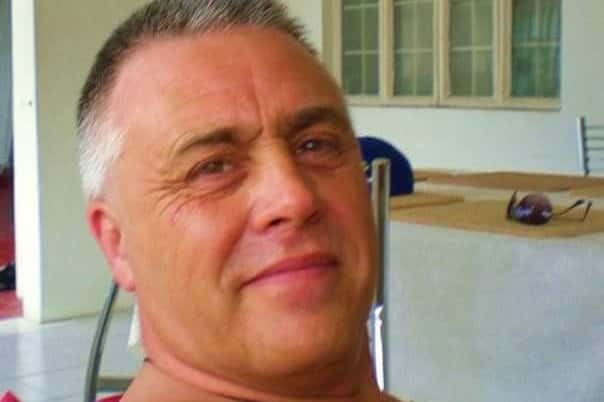 The family of a British man killed by an alleged serial killer in Angeles City eight years ago are still waiting for answers about his death. James Bolton and his partner Melissa Madarang were found dead of gunshot wounds at his apartment in July 2010. Despite this, the formal inquest into his death was not opened until yesterday (Wednesday, September 5). Speaking to the Northampton Chronicle after attending the hearing, his daughter, Jessica, said she had “learned nothing” from the inquest. She added that during the inquest, senior coroner Anne Pember had apologised to the family and spoke of the “lack of evidence” available into the killing of the 50-year-old father. Filipino Mark Dizon was arrested in 2010 and accused of murdering Mr Bolton, his partner and seven other people in a two-week killing spree. His other victims included Canadian Geoffrey Bennun and Filipina girlfriend Abigail Helina, US Army veteran Albert Mitchell and wife Janet along with two of their housekeepers and a visiting friend. Dizon was formally accused of the nine murders in July of this year and is still awaiting trial. Meanwhile, Jessica says her frequent calls to the Foreign Office and struggles with the British Consul in the Philippines have all been to no avail. She said: “It’s been a joke. We have had nothing. We know nothing about how he died. We’ve had none of his belongings back. HIs bank accounts have gone missing. We have had no help. “The case has been passed from pillar to post. Every time I call someone new is dealing with it and has no answers. Jessica also recalled how after her father’s death, the family had to raise more than £10,000 to repatriate his remains. When the body arrived, they were horrified to discover that the Filipino coroners had done nothing to preserve or embalm it.